Get to know the Amira in 20 minutes – a great introduction to the camera’s main features. 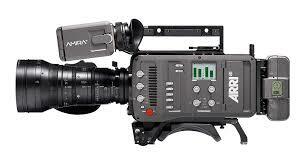 Courtesy of BrainBoxCameras – L.A.’s best unknown rental house. Now available – a very comprehensive guide to the Amira. More than a manual, it not only lists the camera’s features but describes the philosophy behind Arri’s colour science and gives detailed instructions on how to use 3D LUTs in the camera and in post. The web-based app can also be downloaded and used offline on an iPad. An interesting report on shooting models in a high-contrast environment with the Amira. Fun fact – photo flashes register across the entire frame, rather than creating banding familier from other rolling shutter cameras. Testing the rolling shutter response of various cameras reveal that the shutter readout speed of the Amira is so fast that to all intents and purposes it behaves like a camera with global shutter, but without the disadvantages.